Versatile enough to shoulder a full workload—and an end-of-day joyride. Any trail. Any task. Any time. 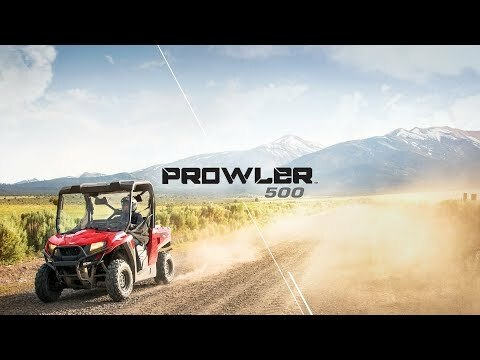 Prowler™ 500’s 443 cc single-cylinder EFI engine saves fuel and emissions without skimping on power. It’s not afraid of a tough day at work and more than happy to let it rip on an open trail whenever you are. 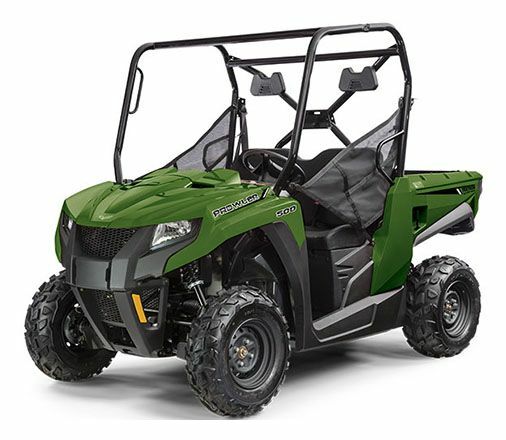 POWER: 443 cc single-cylinder EFI engine, 500-class power and torque, CVT drivetrain. SUSPENSION & HANDLING: Ride steady with front and rear double A-Arm suspension. RELIABILITY: Twelve-month warranty, Advanced, aggressive durability testing, Backed by the power of Textron - a Fortune 250 company. HAULING & STORAGE: 1,500 lb. towing capacity, Class-leading enclosed storage, 500 lb. rear cargo capacity. DRIVER EXPERIENCE: Digital gauge, Low / high beam halogen headlights.